The article offers the comments of one expert on how the courts (judges) could improve the end process. The role of the expert is to be an aid to the court. As such, the expert should provide reliable evidence that is not tainted by overzealous advocacy. The court should not blindly admit advocate experts and their absurd “expert” opinions. Once the expert is admitted, the court should make maximum use of the expert. This can be done by not only admitting the testimony and related exhibits, but through asking follow up questions regarding technical matters that may not be a clear as they could be. When admitting experts, be aware of how the various credentials differ and to what standards the experts are to follow. Not all “experts” are created equal. That said, just because someone is credentialed does not necessarily mean that their particular work product passes muster. When considering an opposing expert’s testimony, take the time to drill down and understand each report. Simply averaging the results of the two reports does not achieve equity or justice. This is especially true if one of the experts did his job objectively and the other was an advocate for his or her side of the case. Consistently apply the rules of evidence. 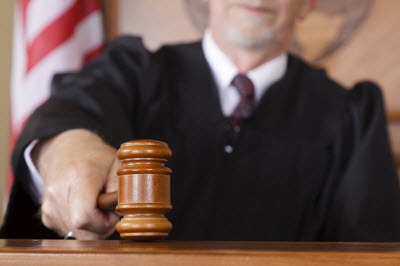 Allowing the admission of testimony with the comment that it will be allowed and given its appropriate weight by the court or that the jury will be instructed as to how it should be considered only promotes advocacy. The first case deals with the valuation of a professional practice which was based on a single valuation method (market) considering only three data points from a database that was not generally recognized as reliable within the valuation community. The expert was subjected to very light cross examination and the opposing side did not offer an expert. As a result, total reliance was placed on a substandard valuation, and in the process, a highly suspect data source was legitimized. In the second case, again the valuation of a professional practice, it was found that there was no goodwill because the sole practitioner could not sell his reputation. This case has been erroneously interpreted as stating that there can be no goodwill in a sole practitioner professional practice. An example of a court making comments that do not appear to fit the case centers around the valuation of a shareholder’s interest in a corporation that was subject to a shareholder’s agreement. The court found the value of the interest was defined by the agreement because that was the only amount that could be realized and the agreement was controlling. However, the court went on the make the broad statement that, “Not only is the capitalization of earnings method speculative, it is simply a method of valuing future earnings. Future earnings are not marital property.” As a result of this case, it has been interpreted as standing for the proposition that the capitalization of the earnings method is no longer an acceptable valuation method due to its “speculative nature.” In addition, this comment has reopened the argument of double counting because of the consideration of future earnings. In conclusion, the experts are there as aides to the court and they should be used as such. The court should drill down and make certain that there is a full understanding of the technical issues pertinent to the case. Rulings should address the case-specific issues and should avoid superfluous and broad-reaching general comments. Nick L. Gales, CPA, ABV, MAFF, CFF, is principal of Gales & Associates, an Oklahoma-based valuation and litigation support advisory firm. Nick has over 25 years of experience doing litigation support and business valuation work. He is an outstanding NACVA member that began doing BV work in the mid 1980s. Since becoming involved with NACVA—whether as a member of a board, a committee, a task force, or an instructor—he states that the combination of these involvements have enabled him to grow and expand his knowledge. Nick has participated in multiple NACVA boards, including the Valuation Credentialing Board, the Fraud Deterrence Board, the Exam Grading Committee, Certification Committee, Recertification Committee, Course Review Committee, and various task forces. In addition, Nick has been recognized as an Instructor of Exceptional Distinction (Fraud Deterrence), 2003, 2004, 2005, and 2006 and an Instructor of Great Distinction (Valuation Update), 2007. Nick can be contacted at (405) 623-2578.